Bernard has been able to acquire this lorry with the gifts received. 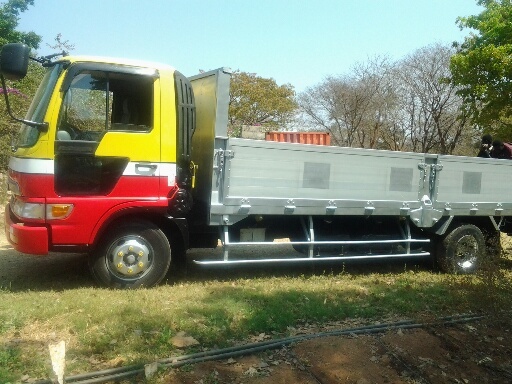 It is expected that this will enable the pineapple harvests to be transported to market and provide a service for transporting supplies for local villagers and farmers. Bernard's vehicle is in need of replacement after its punishing life on the Zambian roads. A fund has been started to help provide a suitable and reliable vehicle. The new pump and wiring for the borehole at Ikelenge has been installed and all is now fully operational and working well. Items are being collected for shipping to Sri Lanka in support of the work of Care Sri Lanka and the Lanka Evangelical Fellowship of Churches. Household items, children's and adults' clothes, hand tools, school materials are all greatly needed. The borehole at Ikelenge was recently damaged by lightning and a new pump and wiring need to be installed. In future, Bernard plans to disconnect the electrics when the well is not in use to avoid any further lightning damage. The boxes and parcels sent to support the children's work in Ikelenge have now been delivered to Bernard and Joyce and they pass on their sincere thanks to all for the supplies received. 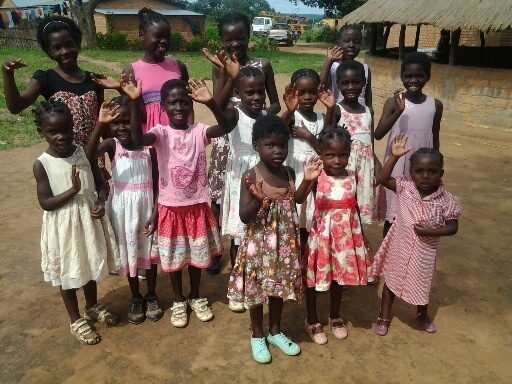 The photos are of the children sending their greetings and saying thank you to everyone. The borehole at Ikelenge is now fully operational. Bernard and Joyce are grateful for all the prayers and support of so many friends that have made this possible. 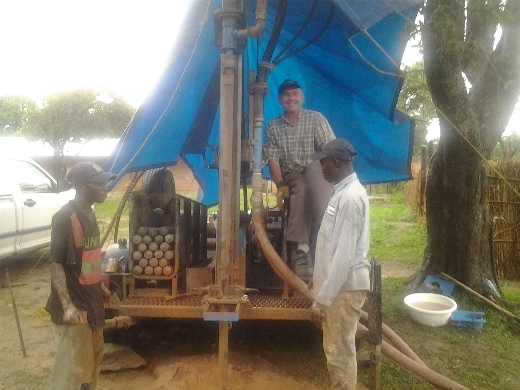 At last Bernard and Joyce report that their borehole has now successfully been drilled. This borehole is the original project which had been planned back in the summer but had been delayed. The shaft has been sunk to about 48m and some final pipework needs to be completed before the water supply is fully operational. At present, of course, the rainy season is in full force and there is no immediate requirement for the borehole water supply. 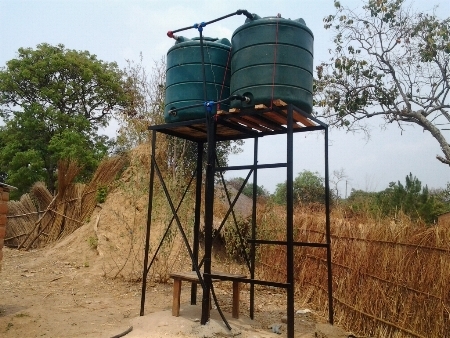 Sadly the borehole has failed to produce the expected supply of water and further work is needed. 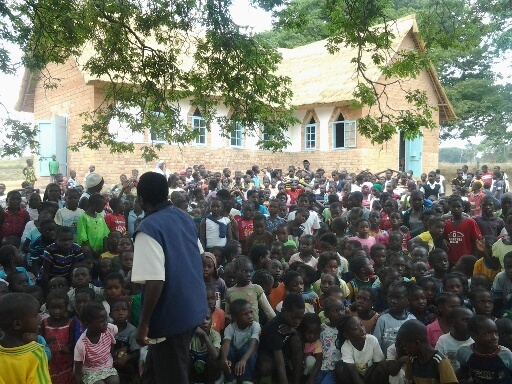 Prayers have been answered for the needs in Ikelenge, Zambia. At last the rainy season has well and truly started and a borehole has been successfully drilled courtesy of the generosity of brethren from Toronto. After a long period of drought in Zambia, there has at last been some rain and the rainy season may be about to start. Bernard and Joyce are also expecting the long awaited borehole drilling operation to begin during the last week of October. 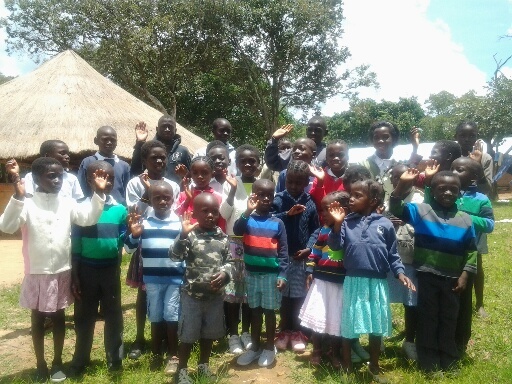 The annual children's camp took place over the first weekend in October with 504 children in attendance from the area around Ikelenge. Bernard and Joyce took meetings at the camp and a great time was had by all. Water tanks and pipework constructed at Ikelenge in readiness for the planned borehole well. There have been delays in proceeding with the borehole drilling operation but it is expected to take place soon. We received sad news from our friends in Sri Lanka this month informing us that Pastor Rajendran from Muthur had been seriously injured in a traffic accident and died in hospital a few days later. Our deepest sympathy and prayers are with his wife and family at this time and with the many believers who will miss their much-loved pastor.